It’s rare to find inspiration first thing on a Monday morning. Even rarer to find it at a corporate launch. She spoke on Monday at the launch of the “20 x 20” initiative to increase participation and investment in women’s sport by 20% by 2020. She told her story - in pictures. The first image was a four-year-old girl who loved football. A football pitch was her ‘happy place’ - away from the poverty and domestic problems that shaped her childhood. She played for the local boys’ team (there was no girls team) and was initially ridiculed. She eventually won U11’s player of the year - voted for by the same players who had ridiculed her.…. only to be then told she couldn’t continue with that team to u12’s because she was a girl. Her parents split up. She moved to London with her Mum – and luckily found a girls’ team. By chance, she was spotted by a Chelsea scout and from there the ball was rolling. She went on to captain England, gaining 130 caps for her country and an MBE. She spoke about that continued duty she has to the four-year-old girl in the picture. A responsibility to give other girls opportunity, encouragement and inspiration. She is now manager of Manchester Utd Women Football Club pursuing that. 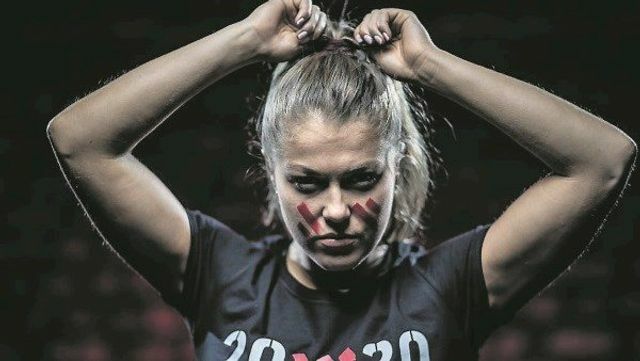 Her message wasn’t about bland statistics or cliche's about equality – it was simply that any person (boy or girl) who loves doing something should be encouraged to do it, and have opportunities to do it. Women’s only sport currently attracts just 1% of the sponsorship market, 3% of print coverage and 4% of online coverage. That is staggering. Ladies Gaelic Football is a great example of how to do it right. It is visible and therefore attractive to players and sponsors. 55,000 people attending the All Ireland Final in 2018. A record attendance. Now other sports need to follow suit.